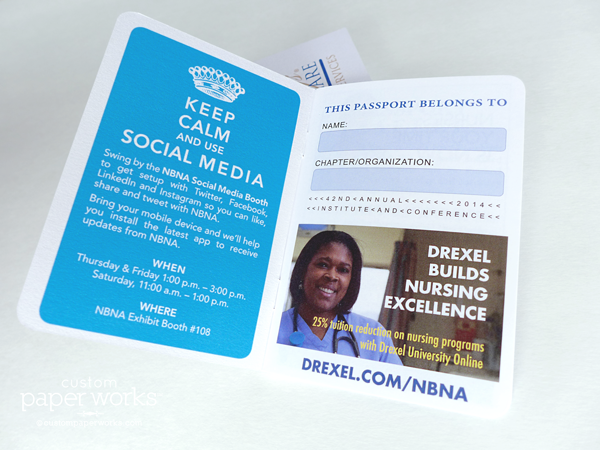 The NBNA had a great idea for their passport booklet: use it as a way to encourage conference attendees to visit all the exhibition booths at their annual conference. Attendees got the passport stamped at each visited booth and once full of stamps, their names were turned in for a chance to win all sorts of fun prizes. Additionally, exhibitors were given the opportunity to advertise in the passport book. 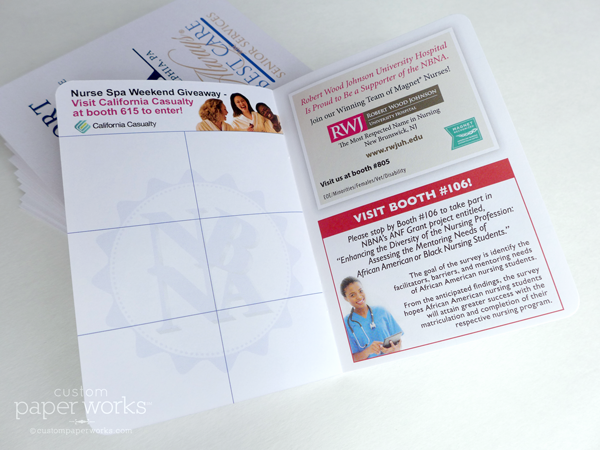 This created additional booth traffic for the sponsors during the conference, along with the potential for additional impressions later as part of a conference take-away. 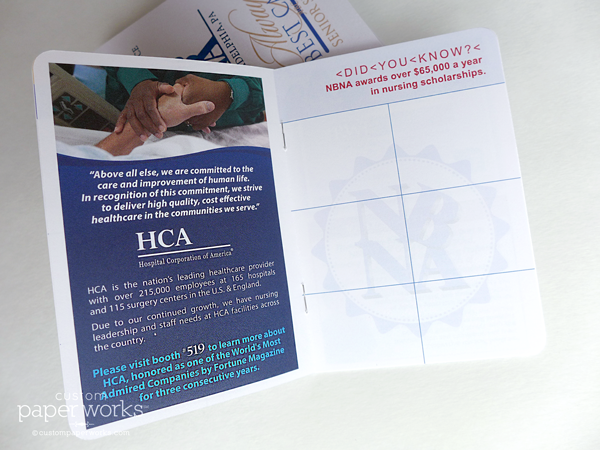 As part of the design process, Custom Paper Works provided NBNA with ad artwork specs for the sponsors and verified each for printing as exhibitors submitted them … part of the full-service design experience that every client receives. Not all pages are shown below (and my photos are horrible), but this particular book has 12 inside pages (plus inside/outside covers). 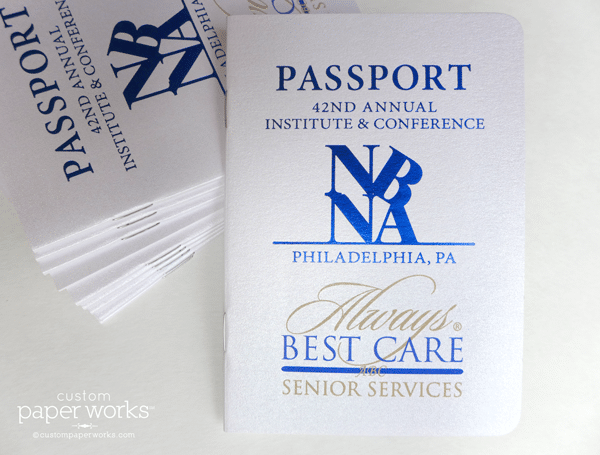 The white shimmer covers were printed with both full-color inks AND a custom blue foil imprint to show off the conference logo. 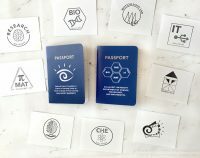 I look forward to creating these for future conferences! Passport page design ©Custom Paper Works and ad designs © each respective company. 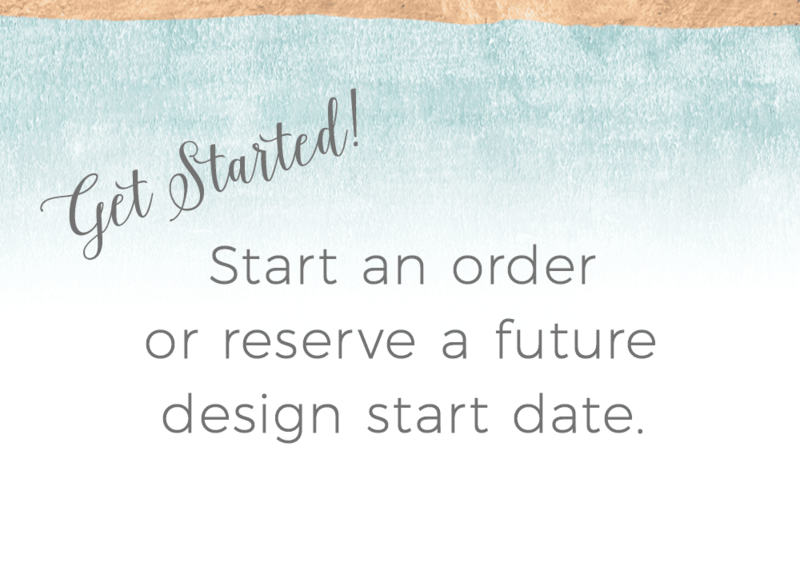 May not be reproduced for personal or commercial use.